Winter brings dry air which can have a negative affect on your flowing locks. 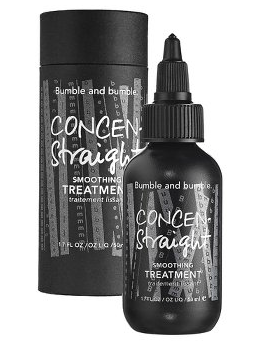 Luckily, Bumble and Bumble has created Concen-Straight. This non-damaging treatment not only straightens your hair, but it adds shine, reduces frizz, and manages flyaways. Bonus: A single use lasts up to 30 shampoos!